THE Three Nations Suffolk sale took place at Carlisle, where trade reached 6,500gns for a lot from the Ballynacannon flock of P.D.W. Taylor, Co Londonderry. 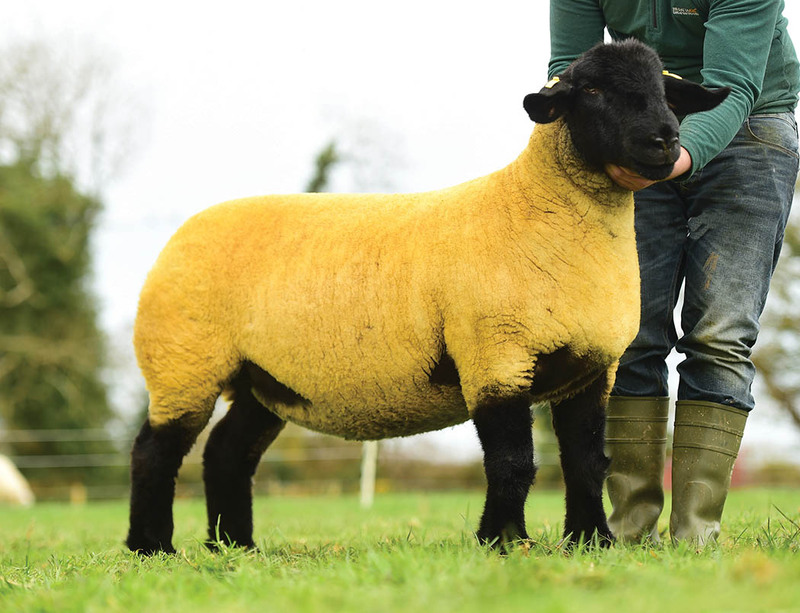 Sale topper was a January 2016-born shearling gimmer by Ballynacannon Discovery out of a dam by Limestone To-Tal. In-lamb to Rhaeadr Rio, it sold to S. Cobbald, Sudbury. Another shearling gimmer from the Ballynacannon flock hit 6,000gns to Michael McNally, Draperstown. In-lamb to Lakeview Innuendo and also by Discovery, its Strathisla Shadrach-sired dam has bred sons to 20,000gns. The Burnview flock owned by S. and W. Tait, Lislap, topped at 5,500gns for a January 2016-born shearling gimmer. By Birness Murray and out of a Forkins Ferrari II-bred ewe, it sold in-lamb to Burnview Hitman II to P.W. Poole, Shrewsbury. 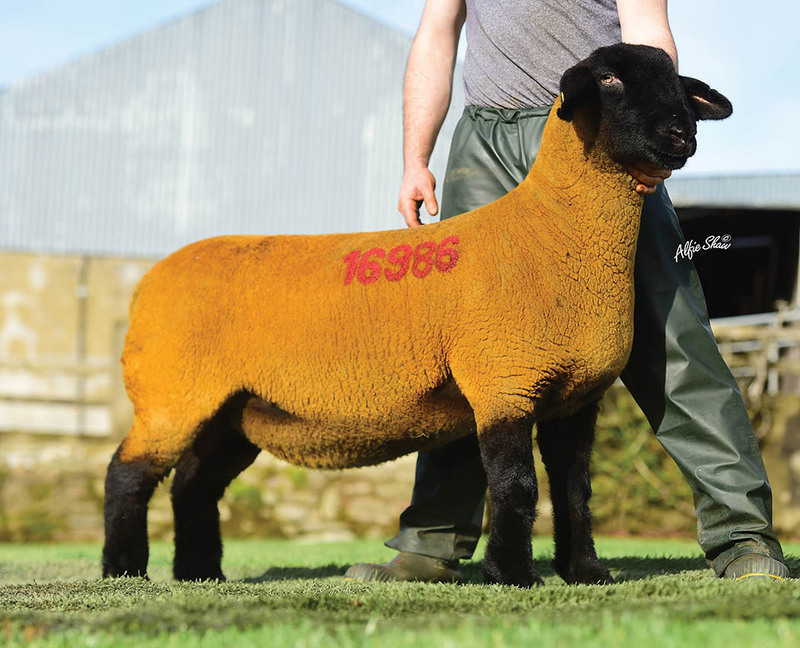 Ronan McLaughlin, Malintown, paid the same money for a Castleisle Knockout-sired shearling gimmer from the J.W. Priestley’s Limestone flock, Downpatrick. Also in-lamb to Hitman, it is out of a ewe by Forkins Figo. Making 5,000gns was a shearling gimmer from the Crewelands flock of Stephen Sufferin, Maghera. By Ballynacannon Discovery and out of a Birness Bacardi daughter, it went home with D. Brown, Co Derry. 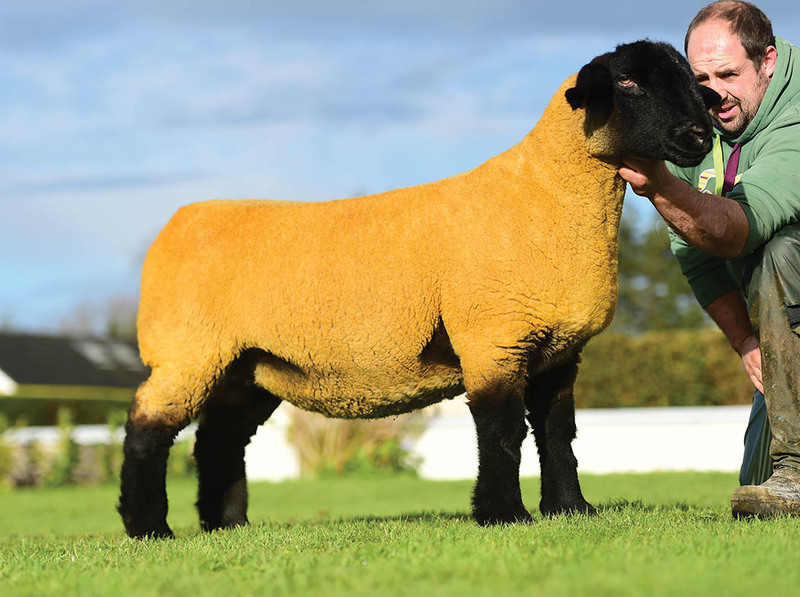 Michael Smyth, Co Londonderry, paid the same for a shearling gimmer from the Ballynacannon pen, which was bred the same way as the sale leader but in-lamb to Rhaeadr Rio. Leading ewe lambs at 3,000gns were two lots from the Limestone flock. Both by Strathbogie A Kind of Magic, the first went to Llavandera and Williahs Suffolks, Spain and Portugal, with the other going to A. and N. Johnson, Baltasound. The Pyeston flock of Stewart Lathangie, Fife, topped their run of shearlings at 3,600gns while I. and J. Barbour of the Solwaybank flock, Annan, sold to 3,000gns twice, for a shearling and an aged ewe. The Brijon flock owned by J. Watson and Co, Bowsden, reached 800gns, while the Bridgeview flock of D.P. and R.A. Delves, Powys, sold to 450gns twice. J.W. Priestley’s Limestone flock, Downpatrick, sold a gimmer at 5,500gns. The Burnview flock of S. and W. Tait, Lislap, sold a shearling for 5,500gns. Ballynacannon flock, 11 shearling gimmers, £2541.00; 4 ewes, £774.38; 2 lamb rams, £656.25. Bridgeview flock, 1 shearling gimmer, £472.50; 3 ewes, £437.50. Brijon flock, 8 shearling gimmers, £640.50. Burnview flock, 6 shearling gimmers, £1697.50; 2 ewes, £892.50. Crewelands flock, 13 shearling gimmers, £1304.42; 10 ewes, £736.0 5. Limestone flock, 5 shearling gimmers, £2341.50; 8 ewe lambs, £1,614.38. Pyeston flock, 5 shearling gimmers, £2,026.50. Solwaybank Flock, 3 shearling gimmers, £1,582; 3 ewes, £1,645.